Today we took on snowy art trees - and as impressive as they turned out, it was a very easy art project with success for all! We started our with a piece of plain white computer paper. 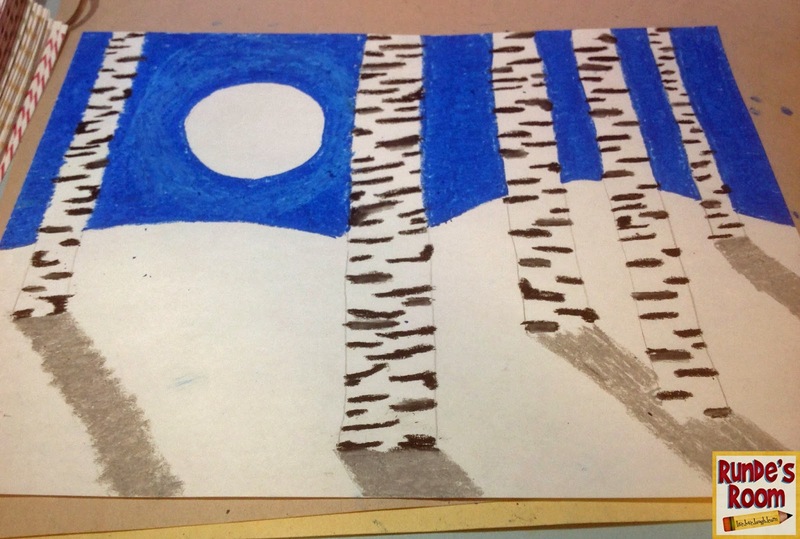 With very light pencil marks, we drew in the horizon, a large moon, and some lines for birch trees (students were free to draw as many as they wished). We talked about perspective - how the trees closer to the bottom of the page would look larger, and the trees closer to the horizon would appear smaller. 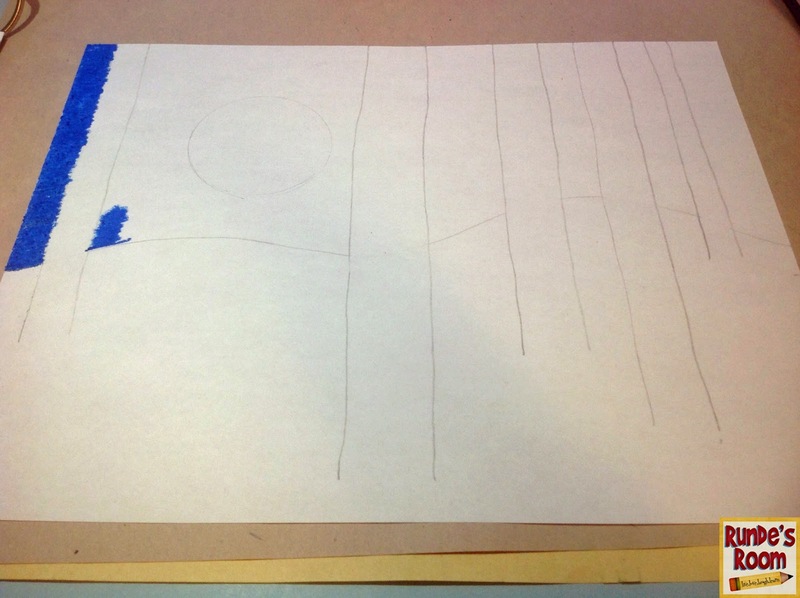 We then used a deep blue oil pastel to shade in the sky area. 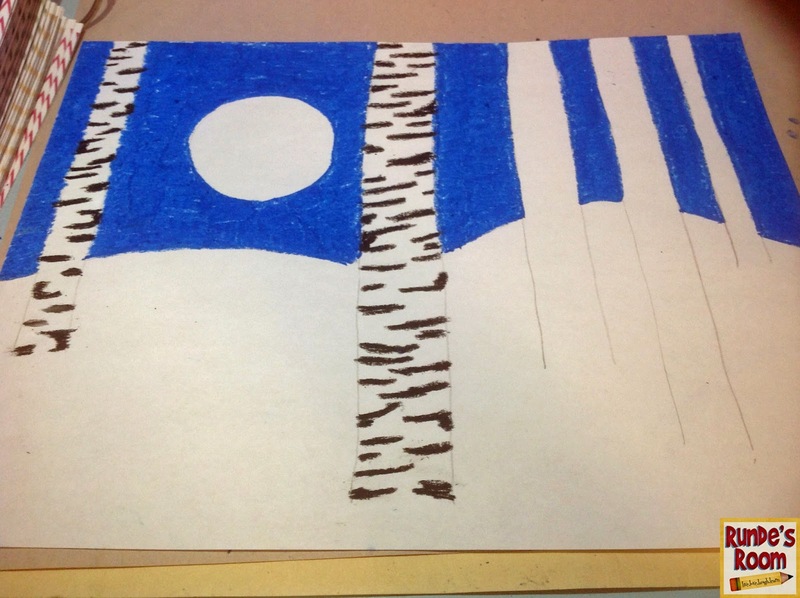 From there, we used black and grey pastels to make the markings on the birch trees (a tree we are VERY familiar with up here). 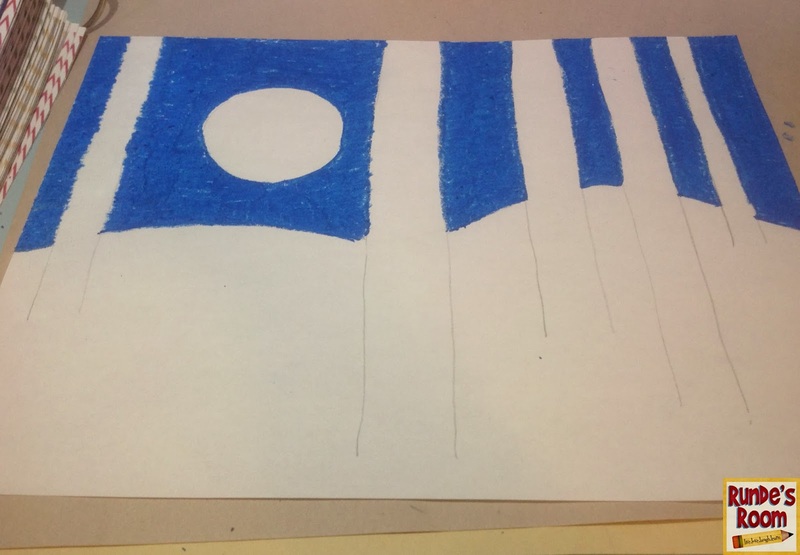 When that was done, we added in the shadows for the trees with the grey pastel, and used the white to make a subtle ring around the moon. 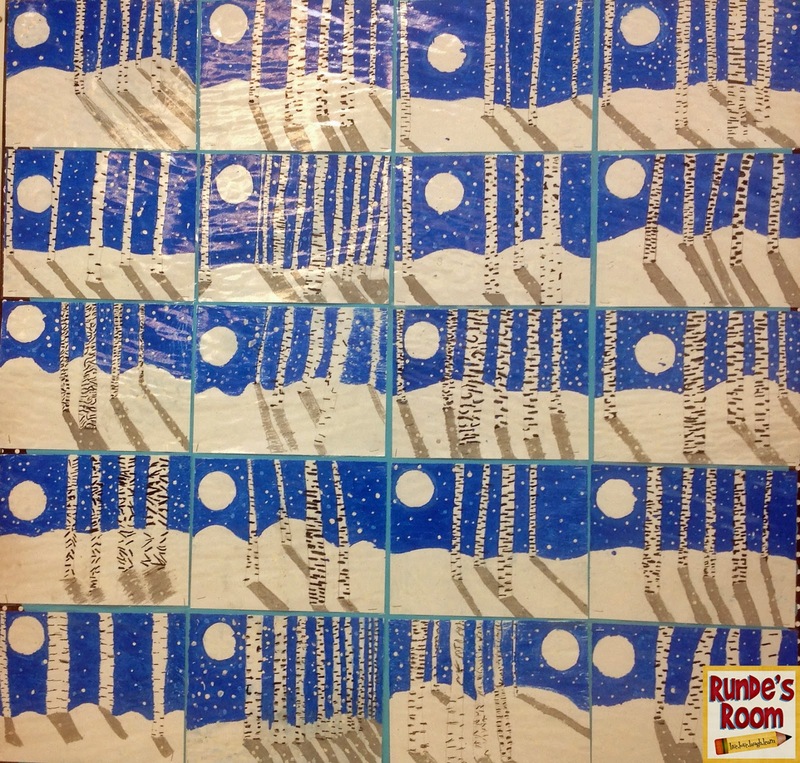 The last step was to add some "snow" (white acrylic paint) by dabbing it over the whole page with the end of a paint brush. When all was done, I laminated them (on a lower heat so the pastel didn't bleed) and posted them for all to admire. We finished the main part (the drawing and pastel work) in about 45 minutes (some less) which gave lots of time for the paint to dry so I could get them laminated and posted at the end of the day. The projects turned out great! I can't wait to try it with my students! Thanks for the idea! Beautiful. What a great job your artists did. I love looking at your art projects. Where do you find your inspiration? Looks great! 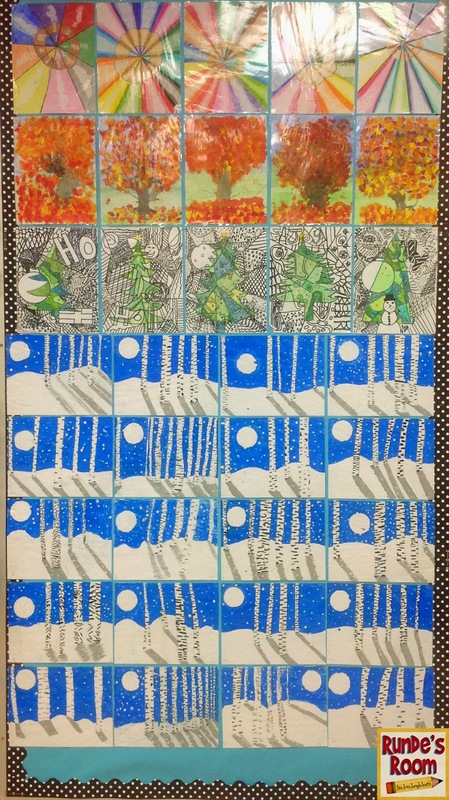 I love when you post art projects. Just reminds us all that we all do have to assess art and that we need to take the time to teach it. Beautiful! I love your art work! Oil pastels that you used - are these materials provided to you by the school? I find we are so low in supplies at our school, that I end up having to buy them myself. I'm wondering if I could use anything else in it's place? I guess maybe pencil crayons? I LOVE these! I can't wait to try them out. My team was just talking about an art project to go along with our figurative language unit and I think this would be perfect! 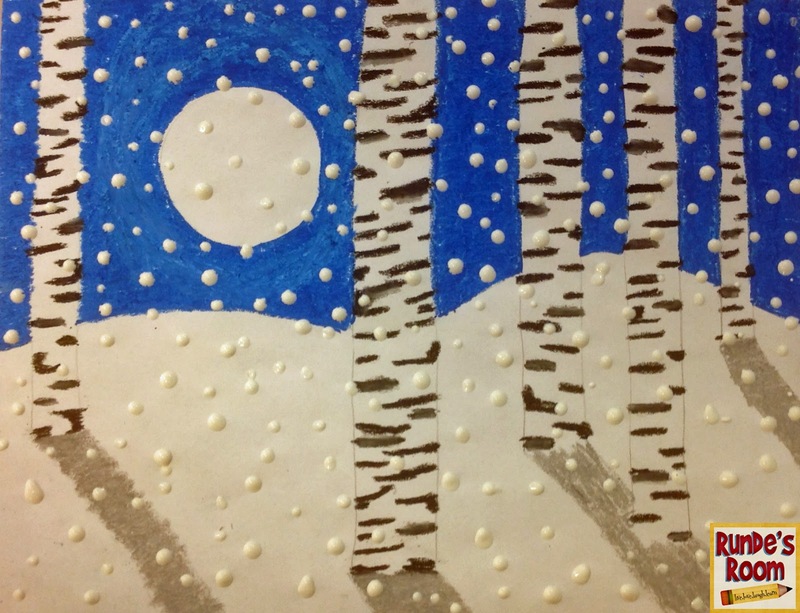 Jen - I do the same project, except we use watercolors in blues and purples for the background and we actually cut "strips" for the birch trees and glue them onto the background for a more layered effect. I also read the students a creation story about how birch trees got their slashes. Then, they write a pyramid poem (basically just a repetitive poem) using ideas from the art and the story. I print those out on overhead transparencies (remember those) and staple them to their completed artwork. We always get lots of comments on them from visitors. Follow the Trail - A Product Swap Giveaway!! !